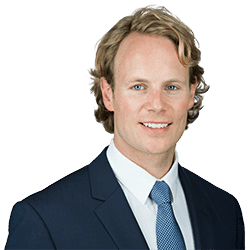 Tim is an employment lawyer within the firm’s sport sector, having previously been an international athlete representing Great Britain in kayaking. Tim advises a wide range of commercial employers, professional clubs and senior employees on contractual matters (including football manager contracts, bonus structures and tailoring restrictive covenants), Employment Tribunal litigation, and employment issues arising in corporate transactions. Tim frequently acts for very high profile professional sports players, coaches, and managers. Tim has represented Premier League football managers, Premier League players and international players (including England footballers and New Zealand All Black rugby players). Tim has acted for professional sports players in regulatory employment disputes including in the FA Premier League Tribunal and in RFU disciplinary hearings. Tim also provides business immigration advice to employers, employees, and investors on the Points Based System, he leads our business immigration practice within our Employment & HR team, and has acted on successful cases in the Immigration Appeal Tribunal. Tim joined Clarke Willmott in 2007 after studying at Exeter University, and the Bristol Institute of Legal Practice. Tim is a member of the Employment Lawyers Association. Marcel Seip v Blackpool FC – Premier League Tribunal  successful action on behalf of Dutch professional footballer Marcel Seip in employment litigation to recover significant bonus sums owed. The player was on loan and contributed towards the club’s successful promotion campaign, triggering the distribution of a £5.15m bonus amongst the players. Advising Premiership football and rugby players on the termination of their fixed term contracts, and negotiating compromise agreement terms proposed by the employer club. Drafting senior executive employment contracts, including by example; Director of Cricket for first class counties, professional football manager contracts, Director of Rugby contracts, and senior director service agreements. Defending commercial employers and clubs in unfair dismissal, discrimination and other Employment Tribunal claims. Defending and completely vindicating a first class county cricket club in a race discrimination investigation by the England and Wales Cricket Board. Tim has also acted on behalf of senior employee Claimants in high value discrimination Employment Tribunal claims, including claims arising from discrimination due to sexual orientation, disability, and age.